Masala chai, literally “mixed-spice tea” is a flavoured tea beverage made by brewing black tea with a mixture of aromatic Indian spices and herbs. Originating in India, the beverage has gained worldwide popularity, becoming a feature in many coffee and tea houses. Although traditionally prepared by a decoction of green cardamom pods, cinnamon sticks, ground cloves, ground ginger, and black peppercorn together with black tea leaves, retail versions include tea bags for infusion, instant powdered mixtures, and concentrates. In some places the term “chai,” alone, can refer to the beverage. 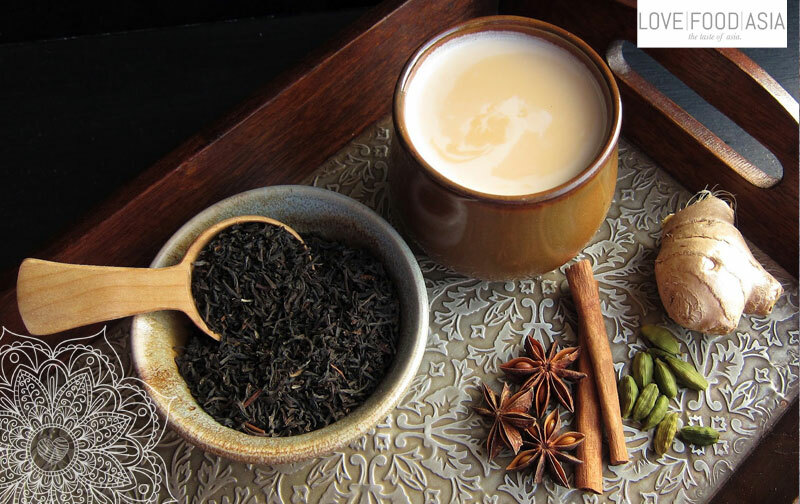 Here is our recipe for homemade Masala Chai where we use BOH tea from the Cameron Highland in Malaysia. Bring water, sugar, milk and herbs to a boil. Reduce heat and add black tea. Simmer for 10 minutes on low heat. Use a sieve to transfer to the tea cups.